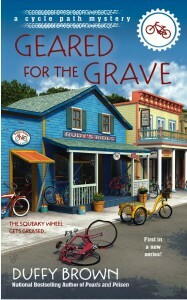 Shakedowns cover-ups and big fat lies keep bodies hidden on Mackinac Island and bike-riding tourist oblivious to it all. To boost her chances for a promotion, Evie Bloomfield helps her boss’ dad with his bicycle shop on Mackinac Island. The good idea turns bad when dad winds up prime suspect in a murder. To save her job Evie takes over the failing shop though she’s never ridden a bike, finding a killer though she can’t find her keys in her purse and discovering why someone is out to frame Dad. Can Chicago Evie survive being on an eight-mile chunk of land with no cars, lots of horses, bikes, fudge-eating tourists, the resident sage writing her eulogy and a killer who wants her dead? This book is bargain priced from 02/08/2016 until 02/21/2016. Is this book no longer priced under $2.99? Let us know in the comments! Have you read this book? Tell us about it in the comments!